Compact, lightweight, practical and robust: the K 1 high-pressure cleaner is ideal for occasional small cleaning jobs around the house. It is suitable for cleaning vehicles, garden furniture and patios, among other things. 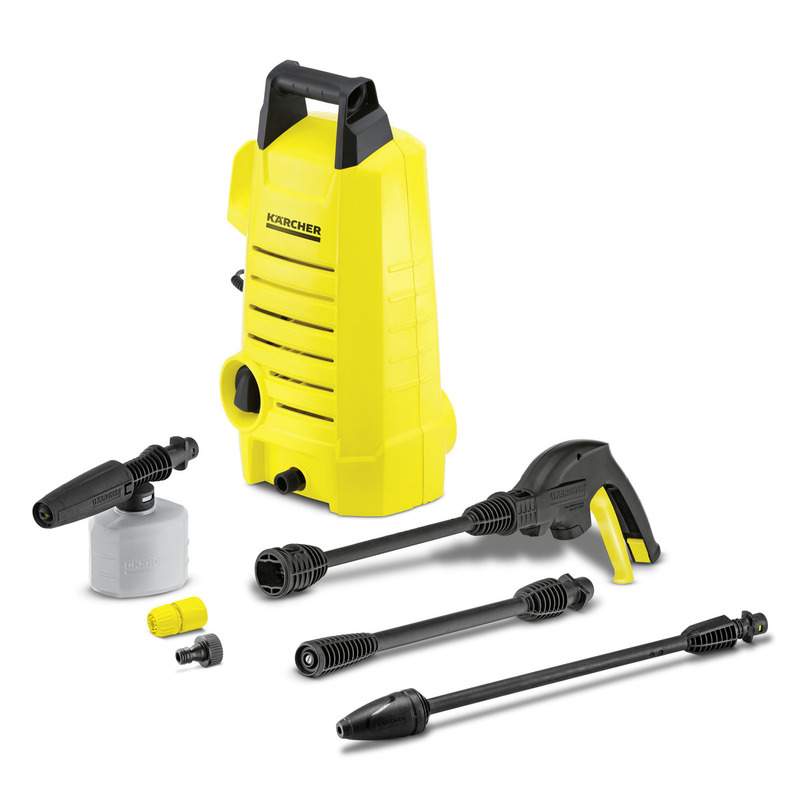 An impact-resistant plastic casing protects the motor and pump against dirt and damage. A safety valve prevents excess pressure. A motor stop function switches off the motor when the trigger gun is closed. This high-pressure cleaner is equipped with an injector for applying the cleaning agent under low pressure. Other convenience features of the K 1 include a large on/off switch and an ergonomically designed trigger gun.